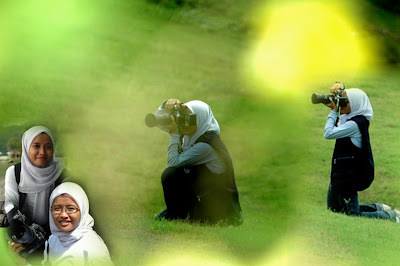 anaFerana: capture and being captured..
At my site i post "Photographers In Action", thats was me and Nabila. We both LOVES photography and of course we also like to take our own pictures a lot!!!. Sometimes when we look at our own self pictures... it's kinda funny and lotsa terhegeh2 laahhh... but thats ok. This is a very nice hobby instead... Hobby?? why not! !